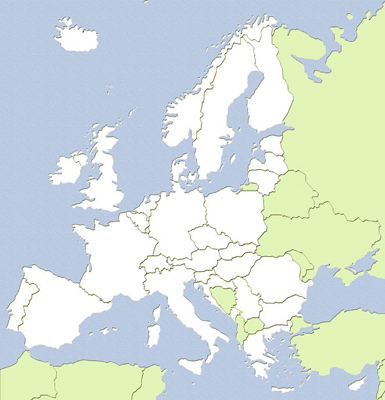 This section gives a brief overview of selected SD strategy features for 33 European countries. The 2007 study "Analysis of national sets of Structural and Sustainable Development Indicators" (Lot 2 of Eurostats tender on "Improvement of the quality of the quality of the Structural and Sustainable development indicators") commissioned by Eurostat. Inputs for the section on “evaluation, review and monitoring”, were also derived from telephone conversations with national SD coordinators of most EU Member States and other European countries during August 2006.